A student appeal is the last chance a student has at avoid sanctions from their college. An appeal asks university staff, usually a dean or provost to look at the situation one last time. How fast do I have to write and submit my student appeal? Usually very quick. Every university is different so make sure you check your handbook for the timelines. 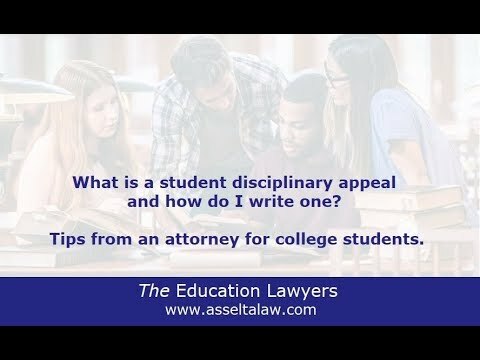 What should I write about in my student disciplinary appeal? That depends on your situation and what categories your university allows you to argue. The categories are typically: new information, policy or procedural violations, and harshness of sanction. These limited categories can make appeal writing a challenge. I write student appeals using my nearly twenty years as a lawyer combined with a specialized knowledge of the student disciplinary process. This gives students a edge. Click here to read the full blog post on student disciplinary appeals.